. :NEW PRODUCT - 10mm LEDs Frosted (Red x5 Green x5 Blue x5 White x5):. 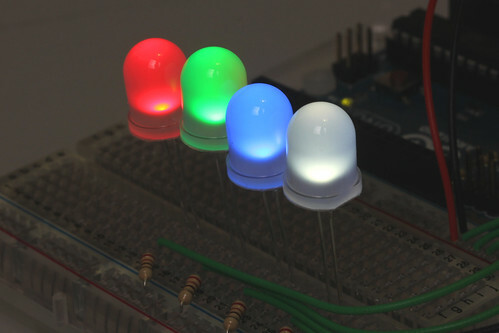 Need some lovely LEDs? (or just like making LEDs blink?). These 10mm frosted LEDs are truly lovely, and available in packs of twenty.